There’s nothing like a good game of dice between friends. Actually, there’s nothing like a good game of dice between strangers. That’s probably why you’ll run into all sorts of folks having a throw or two in taverns across the country. Most of the games are pretty simple with only a few rules to keep track of as you play. Possibly one of the easiest is based on a favorite pastime—golf. 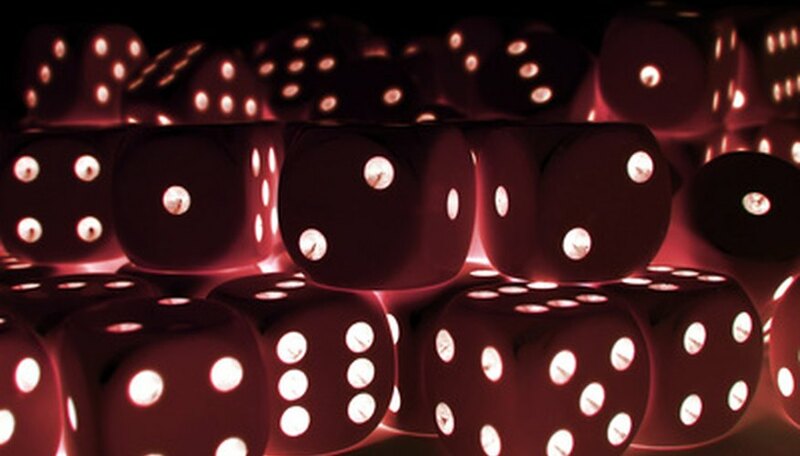 Determine the order in which players will throw by rolling the dice. Each person rolls a single die and the highest roll begins. Play continues around the “circle” in a clockwise direction for 9 or 18 rounds, corresponding to the holes on a golf course. It has taken this player a total of 4 strokes to get his ball in the hole. He takes his points and ends his turn. Pass the dice to the player to your left after recording your score, and the play continues. Tally the scores. At the end of 9 or 18 holes (or rounds), the player with the lowest score wins the game. Another variation of the game is, instead of throwing the dice until you get a double, you pass the dice around the “circle” racking up strokes, much like in golf, until you get the ball in the hole. Once you’ve gotten the ball in the hole, you step out of the “circle” and let the others continue to roll until they’ve gotten a double.